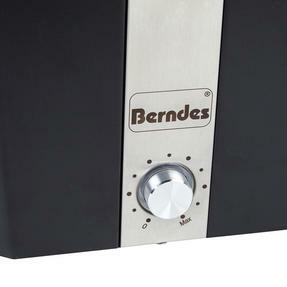 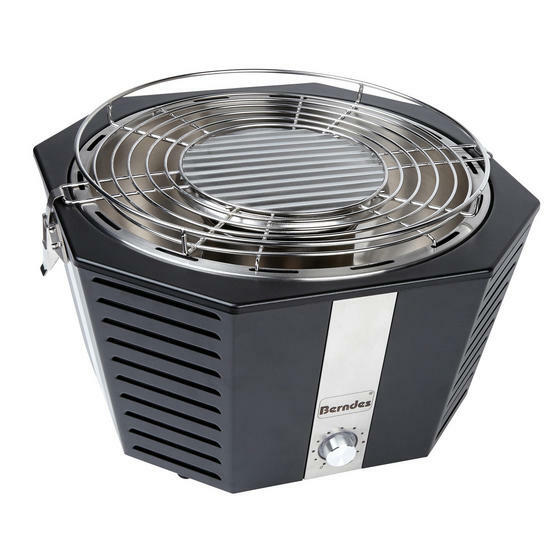 Ideal for camping, picnics and more, this lightweight portable grill from Berndes is all you need. 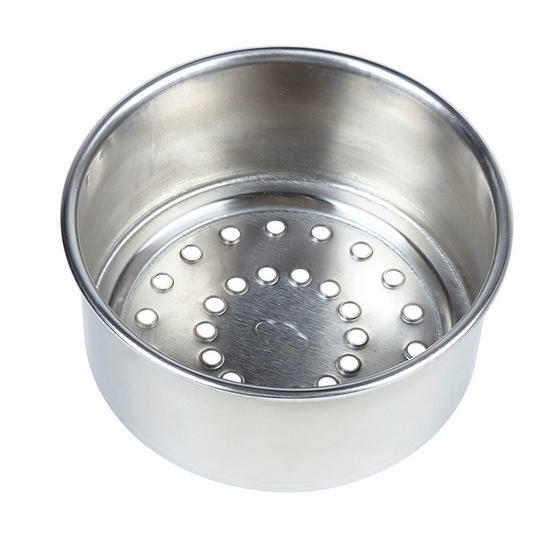 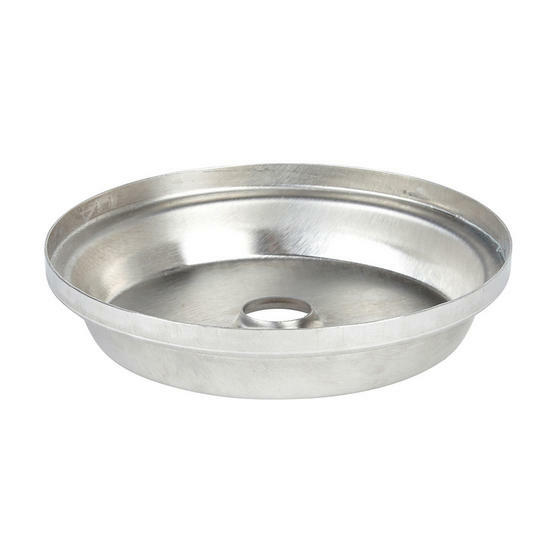 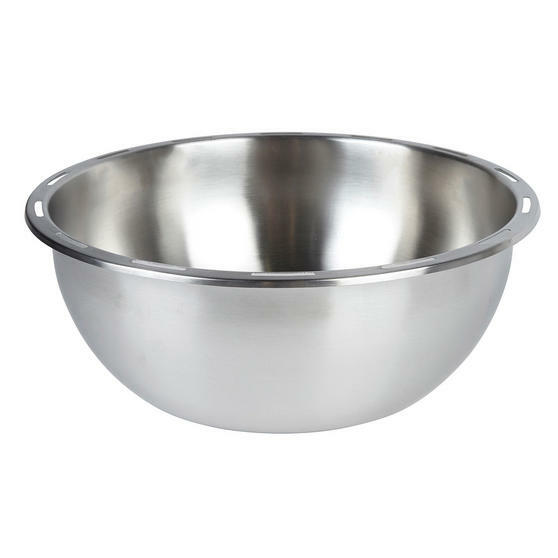 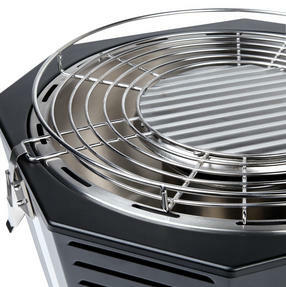 Generously sized for cooking for up to four people, this grill features a removable inner bowl and a grate made from stainless steel for simple cleaning. Easily change the temperature with the LED control button that allows for effortless adjustments to prevent your food burning. 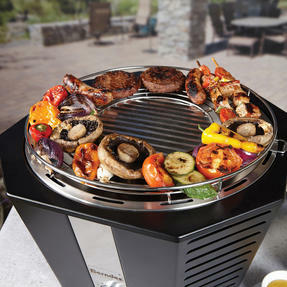 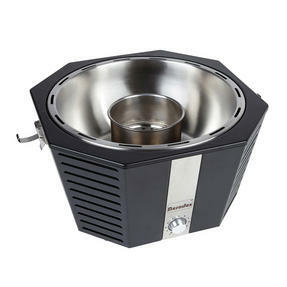 The control button also ensures the charcoal is supplied with air for a fast heat up so you can BBQ without hassle. 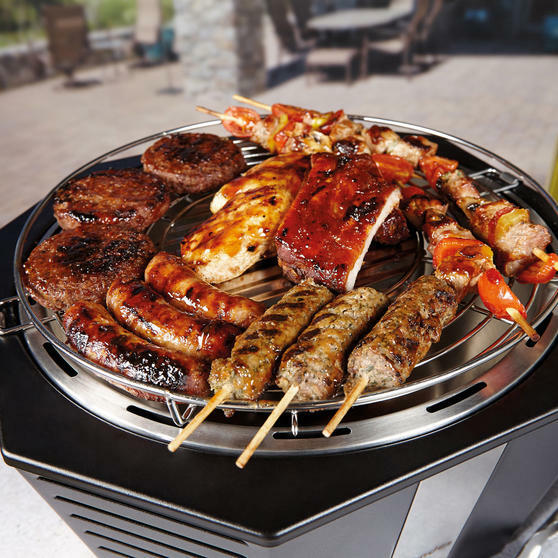 Enjoy delicious grilled food when out and about with this portable grill from Berndes which is perfect to take camping or for picnics. The compact grill features a battery operated fan with an LED control button to adjust the temperature and air flow to the charcoal. 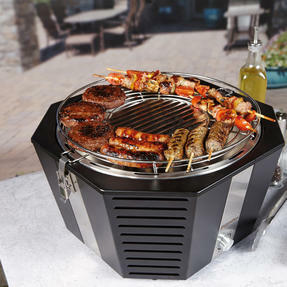 An ideal size for up to four people, the grill measures 39.5 x 38 x 23.5 cm and is easily portable thanks to the included carry bag. 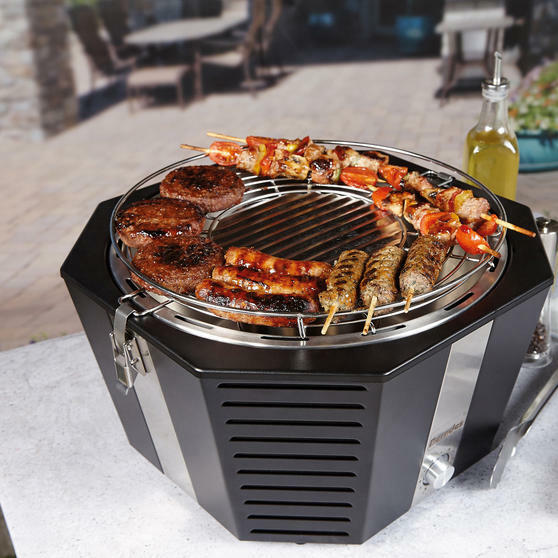 The air flow to the charcoal ensures it heats up extremely quickly so this BBQ is ready to cook just a few minutes after turning on. This incredibly convenient BBQ is perfect for enjoying with friends, with simple to use controls so cooks of any standard can use it.